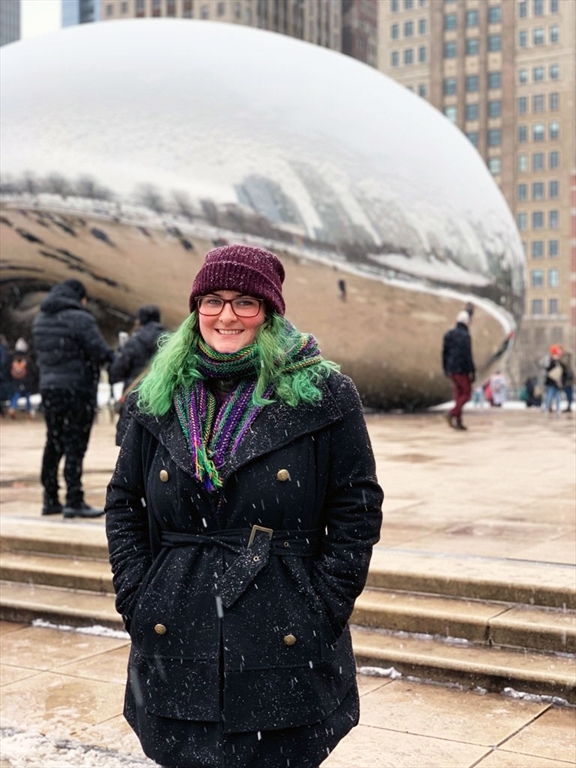 Louisville Alumni digital media intern Michael Jester recently caught up with Erin Kurtz '18, UofL's very first graduate of its new sustainability major, to talk about her experience in the program and what hopes she has for the future. How did sustainability, as an issue or practice, play a part in your life before coming to UofL? Sustainability was always something I was really interested in. I grew up adamantly recycling and was extremely interested in the process of recycling. I was deeply concerned about deforestation and extinction as a child, but I didn’t realize I could have a future studying these issues. When I got to UofL, I took some anthropology courses centered around issues of sustainability, which strengthened my interest and my understanding of what sustainability could mean. What was your journey toward choosing this as a major? The sustainability degree was first announced over summer 2017. I was about to start my final year of classes at UofL, so making this decision was difficult. I knew that if I decided to pursue the sustainability degree, I would need to stay at UofL at least one extra semester – if not two. It was stressful for me to consider the extra money, as well as breaking from the longtime assumption that I would graduate in four years, but I’m so grateful for the extra semester I spent at UofL. In the end, no matter how upsetting the changes seemed to me, I knew that I had to stay and study sustainability. The fact that it was so new and untested didn’t really cross my mind. I was excited to be a part of the pioneering group of sustainability students. What was your experience as a sustainability major at UofL, and would you recommend the program to others? It wasn’t exactly what I expected, but I think that was for the best. I really appreciate the knowledge that I gained about sustainability work within our community, and the issues that community groups face regarding sustainability. I feel as though I have the tools now to do the work that I’m most interested in. As for the program, it’s important that the students involved really communicate and voice their concerns to help it grow. I really care about the sustainability program and everyone involved, and I’m so excited to see the ideas and change makers that come out of it. You were the first graduate of the program – that must feel pretty neat! It’s so exciting! When I realized that I would be able to graduate first, it really pushed me to set an example and leave something impactful behind. I wanted it to mean something that I was the first graduate, and not just another student passing through a program. I care a lot about the discipline, my fellow students and the program, and I felt that the best way to show that was just hard work. I want to make them all proud and show that what they taught me was impactful and worthwhile. Finally, as a new alumna, what are your plans or hopes moving forward? I found a strong sense of community and dedication to creating positive change on this campus over the past eighteen months, so now I want to take this dedication to a larger community. Whether it’s Louisville, a larger span of Kentucky or somewhere else entirely, I feel a strong pull to continue working toward positive social and environmental change. I found working on a campus to be extremely rewarding, and I would love to work on a campus again in the future. Understanding how much student voices matter really impacted my experience, so I would love to be able to continue to teach students this and help them find their voices on campus, and as they head out into their communities.